Washington D.C. – With states all across the country lowering their penalties in marijuana cases, the incoming DEA chief says that the agency will no longer focus on marijuana. Chuck Rosenberg, a former administrator at the FBI, claimed that instead of attacking marijuana users and sellers, that he wants to “improve the DEA’s procedures on classifying, declassifying and reclassifying drugs,” as the new chief of the DEA. Rosenberg “has proven himself as an exceptional leader, a skilled problem-solver, and a consummate public servant of unshakable integrity,” Att. Gen. Loretta Lynch said in a statement. Long time DEA chief Michele Leonhart ‘resigned’ last month in the midst of various scandals, including accusations of DEA agents being involved in drugs and prostitution. Leonhart’s views on marijuana were extremely out of touch with popular opinion, as she continually insisted that it was a dangerous drug with no medical value whatsoever, standing by the DEA’s Schedule 1 classification. With Leonhart now being replaced by a new DEA chief that is entirely retreating in the war on marijuana, another small step is taken towards the end of prohibition. 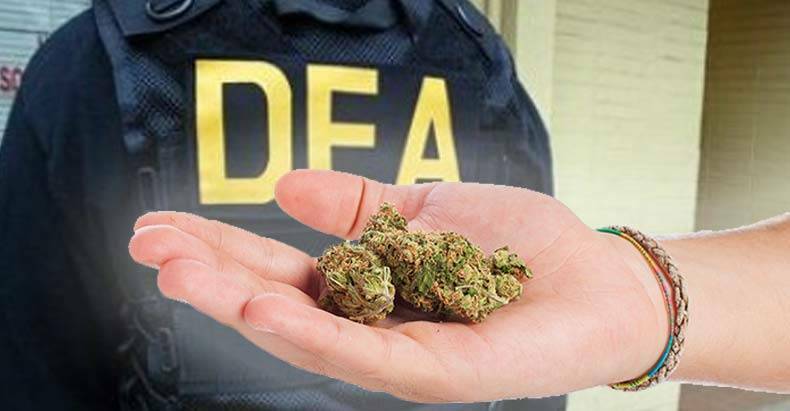 Unfortunately, the DEA still needs to bring their revenue in somehow, so they will be turning their marijuana enforcement apparatus onto users of other drugs, namely heroin, cocaine and psychedelic drugs. While this may be great news for individual users of marijuana, this still does not correct the horror of the drug war, nor does it address the unintended consequences that spring up as a result. With the prohibition of other drugs still enforced, organized crime will continue to flourish, and the violence that it brings will continue to spill over into the streets. Additionally, people who are struggling with addiction will be victimized by police instead of receiving the treatment that they need.